As a forewarning, I'd like to state now that this post features more ugly than a high school colorguard halftime show. Proceed at your own risk. The rather tragic woman depicted above this text is Beatriz Pinzón Solano, the title character in the former Colombian telenovela, Yo Soy Betty, La Fea. It translates to "I am Betty, the ugly one." I don't watch the show's American incarnation, Ugly Betty, but I have a passing familiarity with it, mostly through poor America Ferrera's connections to terrorism and thievery alleged by faulty image-pulling mechanisms in Google news searches for "Santa Barbara." Looking into the show, I've been thoroughly amused by the literal translations of Ugly Betty's various permutations. That, plus what horrendous features different countries cobble together to make what they think is ugly. 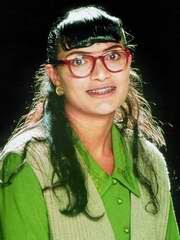 The first nation to rip off the show and make it their own kind of ugly is India, who dubbed it Jassi Jaissi Koi Nahin. The translation: "There's nobody like Jassi." Let's hope not. In Israel, it's Esti Ha'mechoeret — ir "Ugly Esti." I can't help but to read that long, apostrophed Hebrew word as "hatchet-faced." In Germany, it's Verliebt in Berlin, which makes no remark about it's protagonist's nuclear disaster of a face but apparently is a pun that can translate to either "In love with Berlin" or "In love in Berlin." Also, she's ugly, though not quite as ugly as her international counterparts. In the former Soviet Union countries, the show was called Ne Rodis' Krasivoy, or "Be Not Born Beautiful." I'm not clear whether that's a command or just good advice. The Turkish Sensiz Olmuyor translates to "Won't Work Without You." That's not funny. However, the fact that the lead ugly's name is "Gönül" that makes me laugh. 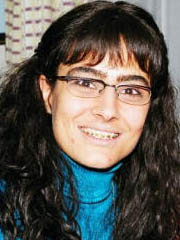 Even more ugly-sounding: the actress's name, Özlem Conker, the sound of which strikes my ears like battering ram. 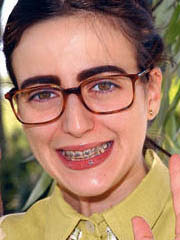 La Fea Más Bella, or "The Most Beautiful Ugly Girl." 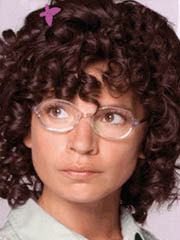 The real prettiest ugly girl, however, would have to be the woman playing Lotte Pronk, the Dutch version of Ugly Betty. Literally, this character strikes me as not ugly in any manner whatsoever, save for a slightly out-of-date mop of Shirley Temple ringlets. Lotte's show is simply called Lotte — not Ugly Lotte, not Lotte With the Thing on Her Neck, not Lotte Has Orthopedic Shoes. I guess the Dutch are really such a fantastically beautiful people that Lotte is as ugly the best attempt at ugly they can put forth. 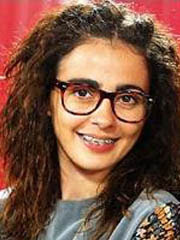 Spain too put forth a verion of the show, Yo Soy Bea. According to Wikipedia, the title is a pun. Bea's name sounds like either bella or fea, depending on whether she's wearing those goddamn glasses or not. 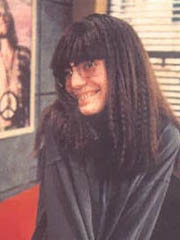 the title character of the Greek series, Maria, i Asximi, or "Maria, the ugly one." And an honorable mention in the ugly race: the translation of the Japanese name for the original version Betty, Ai to uragiri no hishojitsu, comes out to "Betty, love and betrayal secretarial office," which perhaps gets more to the point than anything any other country has put together on the subject. 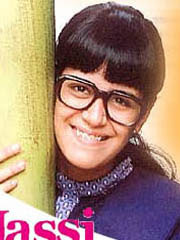 Israel's "Esti Ha'mechoeret" actually wasn't an adaptation of Colombia's "Yo soy Betty, la fea." It was a remake of Mexico's "El Amor no es como lo pintan." But there are many websites that incorrectly claim that "Esti" is a "Betty" remake, so it is understandable why you would think so. The company that developed "Esti," Dori Media Group, was actually sued by the Colombian company that owns the rights to "Betty," RCN, for copyright infringement.